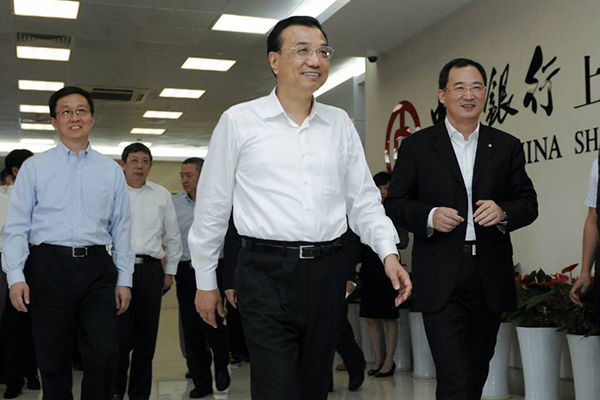 Premier Li Keqiang visited a branch of Bank of China in the China (Shanghai) Pilot Free Trade Zone on Sept 18, ahead of the opening of the international board of the Shanghai Gold Exchange later in the day. Li said the move is a sign that China will continue to open up its finance sector, and he urged Shanghai authorities to continue their efforts to realize the city’s potential in the finance industry – and also to enable the public to reap the benefits. What the gold promoters fail to understand is that gold is merely being used as a mechanism to float the currency. This is a way that one can trade the currency via merely playing Shanghai against New York and London. This will have no impact on eliminating paper gold or some other nonsense. It is a step in the capitalization of China in preparation for it to become the next financial capital of the world economy.